Open 7 days a week 6:30am to 10:00pm, and located in beauitiful Southmont Clark's Corner Store has a reputation for world famous subs, excellent food, and hometown service. We are a favorite meeting place for folks of all ages. 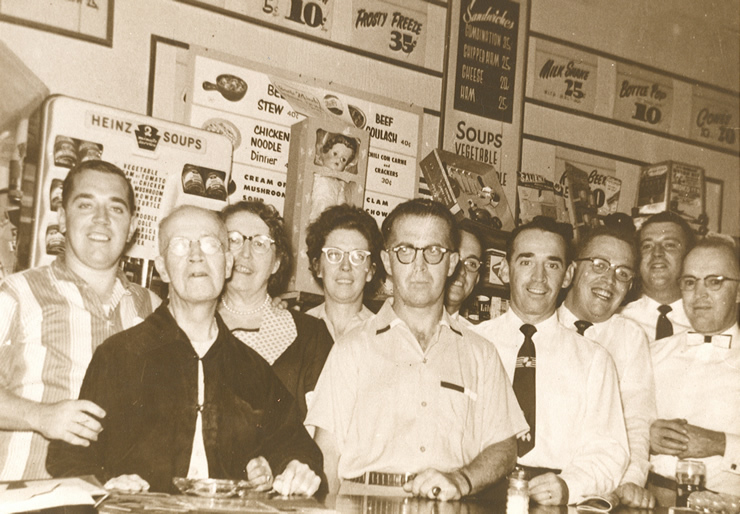 A family run business, built by the seven Clark brothers, Clark's Corner Store holds fast to the lessons learned from the Clark uncles. Good food, genuine interest in the customers you serve, and hard work have earned a reputation that can't be beat. The business was built basically on submarine sandwiches (Subway took off on that! ), and our subs are still hometown favorites. 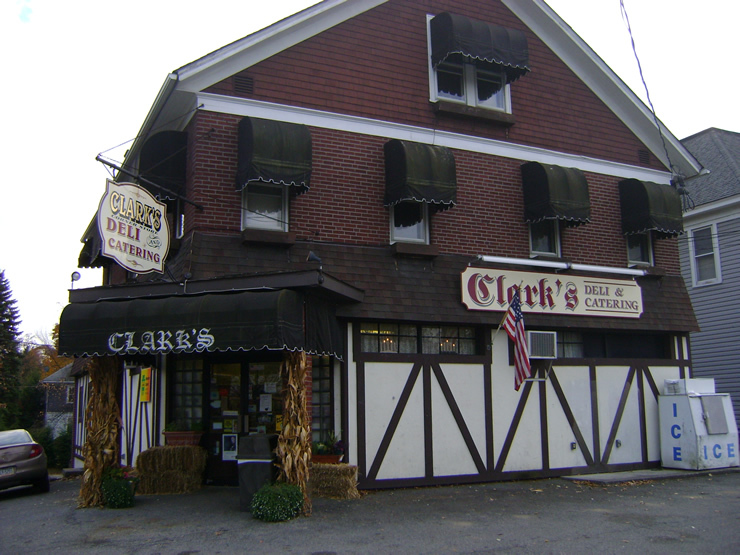 Natives who return for weekend visits claim that their first stop is Clark's Corner Store to get their "real" sub fix, and their last stop is Clark's Corner Store to take some home to their friends! As well as being famous for delicious subs, we have changed with the times and become a reliable catering company. Pharmaceutical reps rely on us for delicious luncheon platters that they can pick up on their way to their sales calls or we deliver for them. Some days they treat the office or hospital department to a hot luncheon and are always pleased with our presentation as well as the quality of the food provided. We are happy to accept major credit cards to assist them. OFFICES! WE DELIVER: Call your group's order in - each one will get special attention - and we'll deliver to your workplace - major credit cards accepted. Our catering experience includes not only business luncheons, but parties and events of all sizes and specifics. Weddings (in the park or banquet hall), showers, funeral luncheons, graduation celebrations, cocktail parties, family and class reunions....if there is food required Clark's Corner Store is called upon! Owned and operated by Anne Clark Schrey and assisted by several adult women, we also hire local high school and college kids, who bring a breath of fresh air with their youth and energy. The kids who work for us usually become "part of the family!" They work year 'round while still excelling academically and participating in school activities, and return for holiday and summer employment once they become collegians. We've actually had a few couples meet while working at Clark's and marry!!! A business we are proud of, one that defines true Americana, we invite you to stop in, browse our website, peruse our menus....we are anxious to get to know YOU!